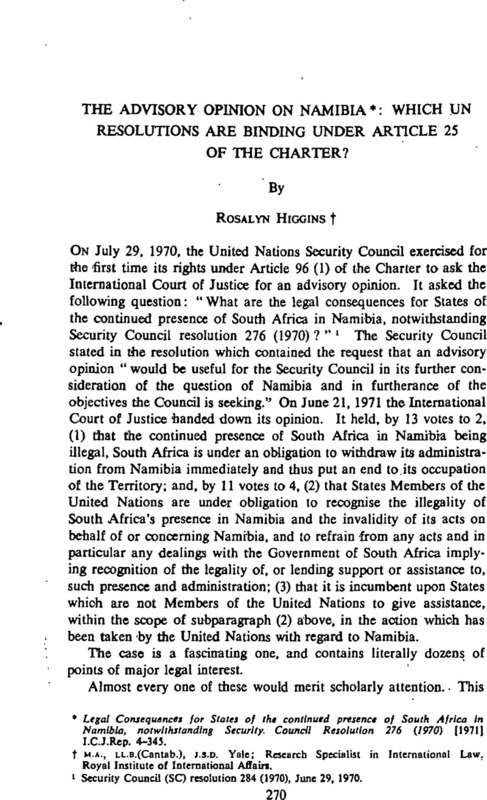 The Advisory opinion on Namibia*: Which un Resolutions are Binding under Article 25 of the Charter? * Legal Consequences for States of the continued presence of South Africa in Namibia, notwithstanding Security. Council Resolution 276 (1970)  I.C.J.Rep. 4–345. † m.a., ll.b.(Cantab. ), j.s.d. Yale; Research Specialist in International Law. Royal Institute of International Affairs.